Frasers Glasgow, officially called House of Fraser, is home to high-end fashion, beauty and homeware brands - many of which are exclusive to Frasers. 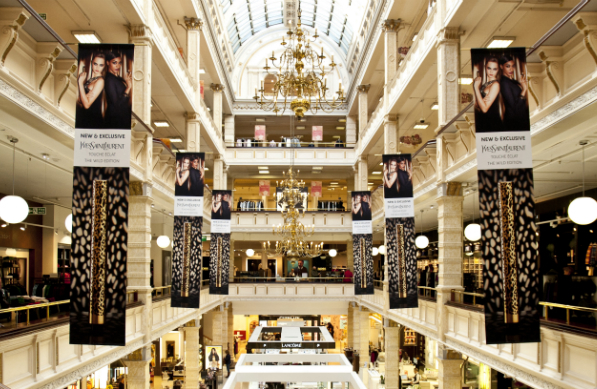 If you are fashion shopping in Glasgow, this department store is a must visit as there are many clothing labels that you just can’t get anywhere else in the city. One of the aspects that makes the fashion offering at Frasers Glasgow stand out is its own label: Therapy. Therapy offers trend-led clothing and accessories that are unique and innovative, whilst remaining affordable and accessible to all ages. There are always covetable items in every Therapy collection to keep you up to speed with the fashion pack. House of Fraser is proud to be at the cutting edge of fashion. Two of its crowning glories are being home to the revival of sixties brand Biba and the Mary Portas Collection. 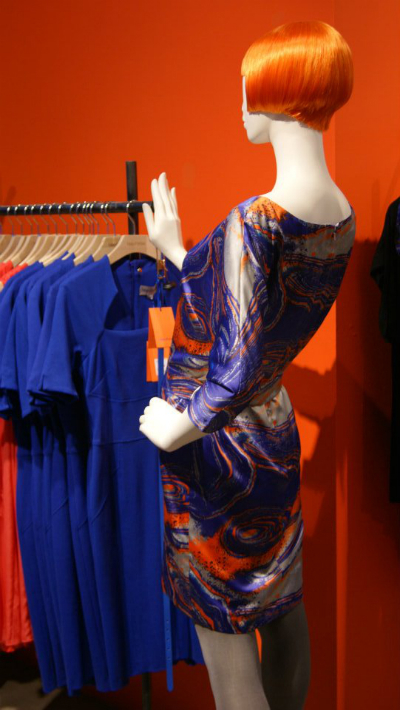 Retail expert Mary Portas’ affordable fashion label makes bold colour statements and is always current, yet is still able to produce clothing that caters to the ‘every woman’. Her designs suit and flatter all shapes, and mix classic staples with bright statement pieces. Biba at Frasers Glasgow plays to the strength of its name. Biba clothing is beautifully decadent (and usually priced at £100 plus) with each collection making strong use of gold and luxury fabrics, but it’s the vast and heavily-logoed accessories range that makes this a brand that focuses more on its iconic status than its designs. It’s most definitely worth a look and a try-on even if not a purchase. When visiting Frasers, don’t just focus on the large, in-your-face branded concessions. Look out for smaller racks containing the smaller independent brands that House of Fraser are increasingly adding to their rostra. Labels such as Noisy May and Label Lab don’t have a high presence, but they’re there, and have some really rather unique designs ranging from coats to dungarees. Frasers Glasgow is also the go-to place in Glasgow for luxury handbags. Its handbag department is vast and contains all the latest releases from brands such as Lulu Guinness, Michael Kors, Vivienne Westwood and Chloe. Many designers also have creations that are exclusive to House of Fraser - items that aren’t even sold in their own stand-alone stores - so it’s worth keeping a regular eye on what’s available. Even if you aren’t buying, Frasers Glasgow is such a haven of loveliness that it’s worth an afternoon of window-shopping all on its own. Their multiple floors of treasures will captivate you for hours. Find a deal for shopping in Glasgow.